Alexis is an avid animal lover. Growing up with a mature but tenacious cocker spaniel with sight and hearing issues, she learned to accommodate animal handicaps and anxieties at a young age. 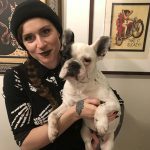 While going to school for history and on the path to become a archivist, she became interested in dog training and behaviour and picked up a part time job in a dog daycare. 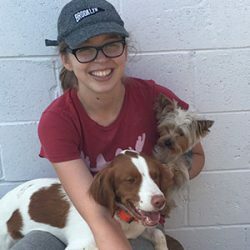 She quickly realized that this was the best job out there and decided animal care was her real career path. 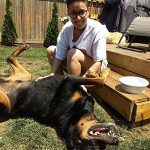 Since then she has been a dog walker, pet sitter, day care attendant and an animal care attendant in both ER and surgery at a emergency veterinary clinic. Her favourite parts of her career have been building trust with newly rescued dogs in the hospital and hosting many dog friends in her home. In her spare time Alexis hangs out with her cat named Turkey, learns about Toronto history and weaves or sews fun things for her friends and family.